What Are The Statute of Limitations on Warrants? In general, a warrant is legal permission for law enforcement to carry out an action as it relates to serving justice. Statute of limitations on most warrants come with their own stipulations and constraints. Each warrant serves a specific purpose; some have a limited time they can be carried out. Arrest warrants are warrants allowing the police to detain a person of interest they believe is connected to a crime. Arrest warrants can be resolved by posting bail to the court. If you are hoping to evade this type of warrant until it expires, don’t bother. Arrest warrants don’t expire. There are certain situations in which an arrest warrant is voided, however it isn’t dependent on warrant itself. A statute of limitations is placed on the officers who requested the warrant to carry it out. For misdemeanors, the statute is relatively low. However, for a felony, the statute of limitations can last years or decades; especially if the person of interest is classified as a fugitive. Do Bench Warrants Have a Statute of Limitations? Bench warrants also have no expiration date. Most people discover old bench warrants in situations where they are vetted such as when they are hired for a job or when they are traveling internationally. An employer may fire you or ask that you resolve the matter if they discover the warrant before you do. Immigration will most likely detain you until the matter is resolved due to concerns of national security. The most common situation old bench warrants are found, is during driver license renewal. The DMV will see the warrant and ask that it be resolved before the license is renewed. The DMV clerk may also opt to contact the local police or sheriff to notify them about your warrant. There are also newer systems in larger cities where an alert is automatically sent to local law enforcement. You’re a blip on the radar and it’s important to note that warrants don’t expire because it would be easier to undermine the court’s authority. What’s a Ramey Warrant and Do They Expire? Ramey warrants are a very special kind of arrest warrant. Like arrest warrants, it allows the police to detain a person of interest, but the process is sped up. For regular warrants, the police are required to submit evidence and probable cause to the local D.A (district attorney) before it is shown to a judge and a warrant is issued. Ramey warrants skip the D.A step and probable cause and evidence is shown directly to the judge. Ramey warrants time limit typically give law enforcement 90 days to carry it out before It expires. Search warrants are warrants that allow the police to enter a venue and look for a particular thing. Like arrest warrants, it requires probable cause and (sometimes) evidence. Depending on the state, a search warrant must be carried out between certain times of the day. For example, in California, law enforcement must carry out the warrant between 7 a.m. and 10 p.m. The time limit in most states is 10 days, after which the warrant is voided, and another one needs to be obtained. Lastly, the statute of limitations for an execution, or death warrant, is 60 days. After which, the person of interest typically awaits another execution order to be signed. If you need think you have criminal warrants and how long warrants last its best to find a bondsman and a lawyer. 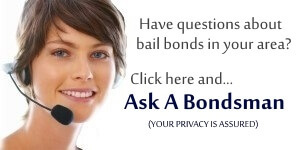 PreviousPrevious post:North Carolina Bail Bonds Question: Bail Bond Loan PaymentsNextNext post:Should you turn yourself in to the police?